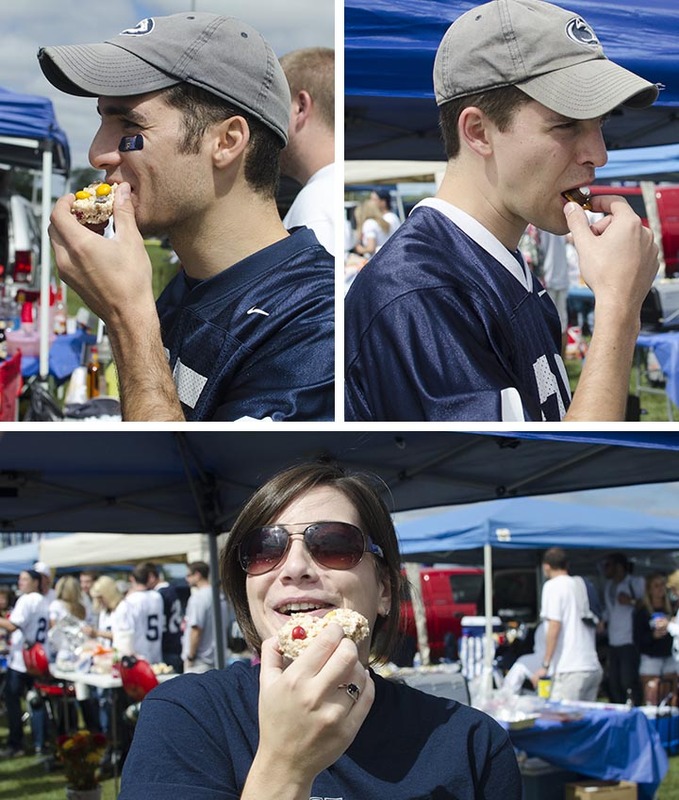 Fall and football go hand-in-hand around here, 5 miles away from Penn State University…and in our family, football and tailgating also go hand-in-hand! We haven’t been able to tailgate as often as we did pre-baby, but this past weekend we had our first overnight away from our little girl (thanks, Mom and Dad!) and were able to tailgate and go to the Penn State/UCF game. (We lost. But it was still a fun day!) 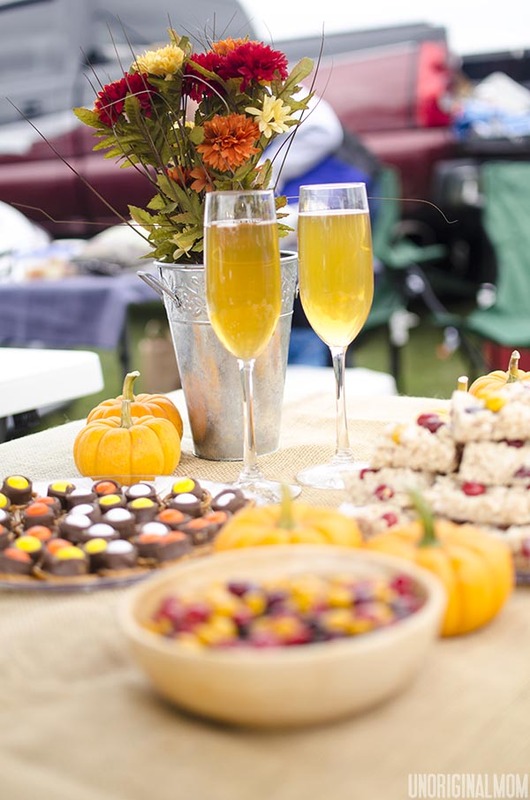 So since it was our first tailgate in a while, I went all-out with a fall tailgating party. 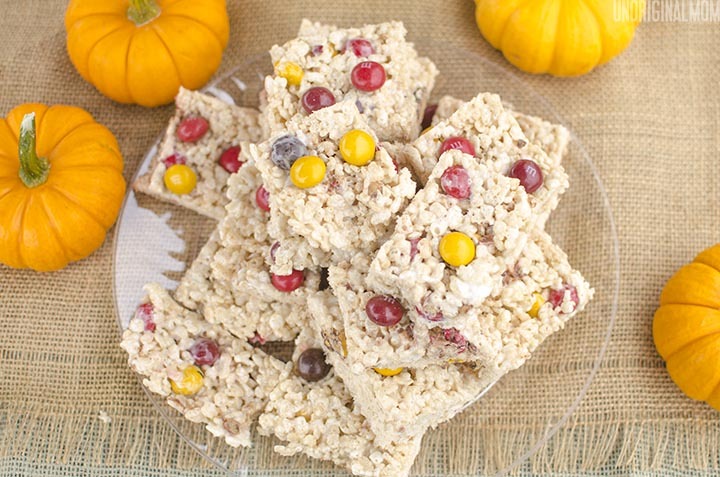 I decided to go with the good old stand-by of rice krispie treats and add in some fall-colored peanut butter M&M’s. 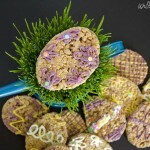 Have you seen these easy treats before? 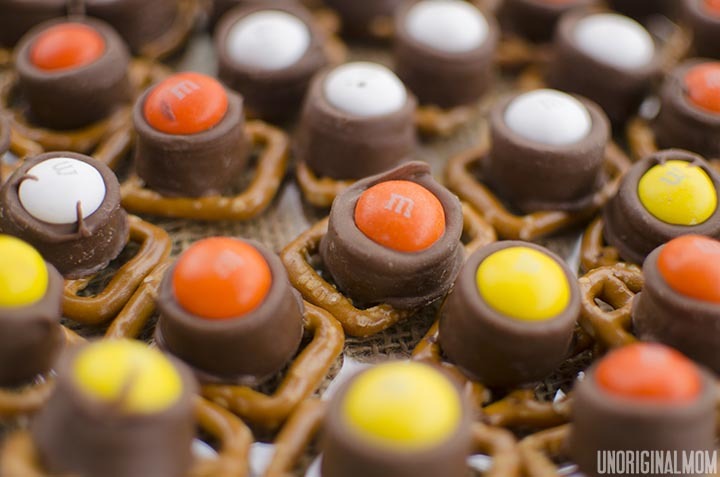 Pretzels, some kind of chocolate candy, and M&M’s on top. It is the perfect combination of sweet and salty. 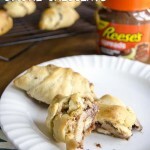 I switched it up by using the Candy Corn M&M’s, and caramel-filled chocolate in the middle. 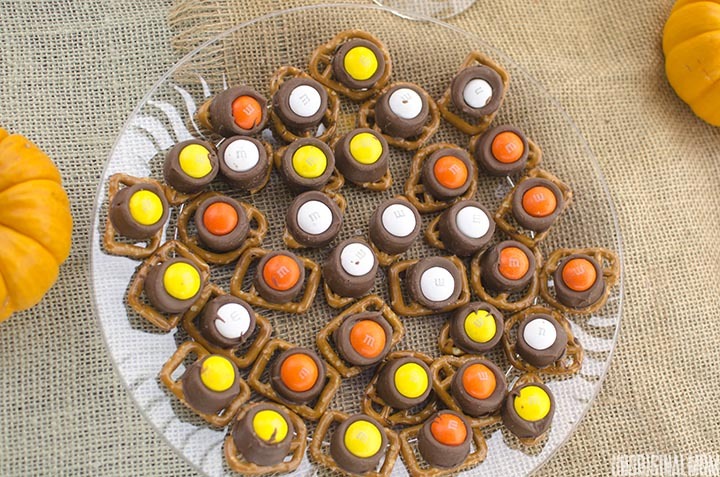 It couldn’t be easier – just lay out your pretzels (I used “Game Day” shaped pretzels, though it was pretty hard to tell that they were football fields, helmets, and footballs after they were all put together), top them with your choice of chocolate candy, and pop them in a 200 degree oven for 2-3 mins. While the chocolate is soft, press the M&M on top, then cool them in the fridge until the chocolate is hard again. 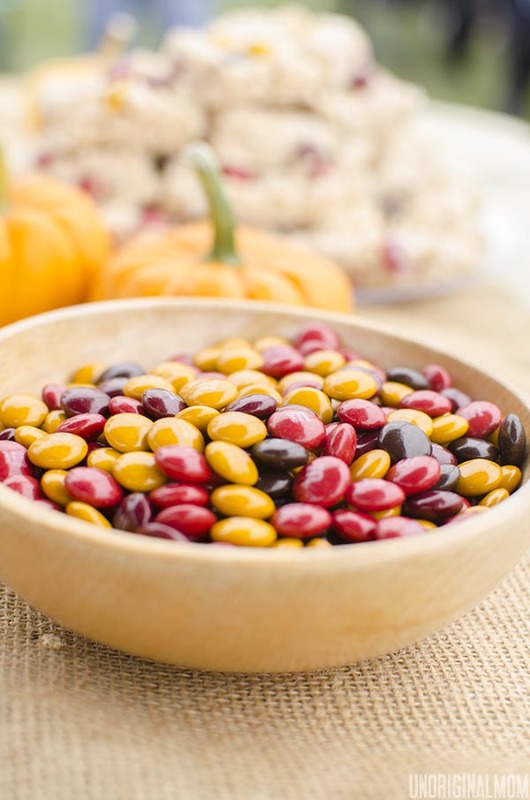 They are a perfect snack for a fall party! 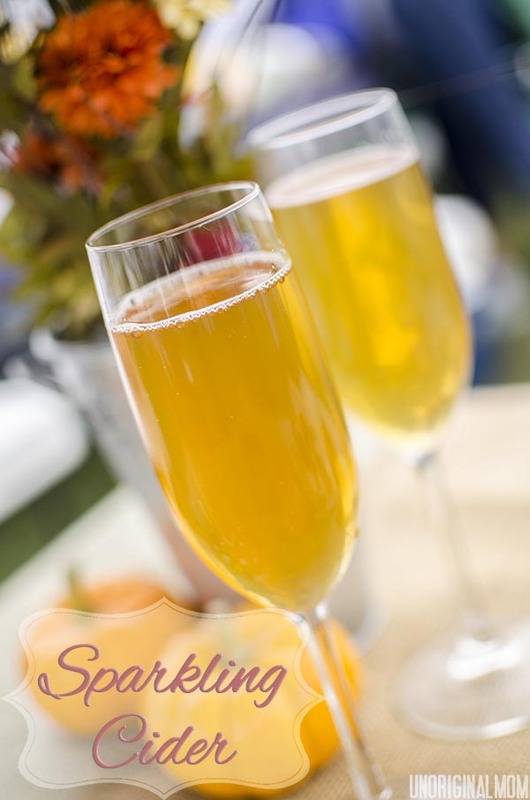 For a tailgate beverage, I made some DELICIOUS sparkling cider that was very refreshing on a warm fall afternoon. 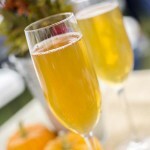 I made the cider with a apple juice, orange slices, cinnamon sticks, allspice berries, and whole cloves. Click HERE for the recipe. Ok, quick side-note/brag-moment. 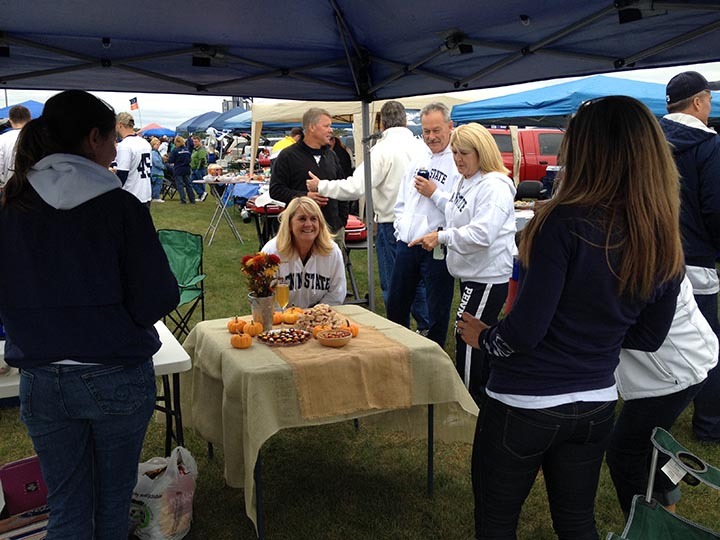 As I was setting up our little fall tailgate table, women kept stopping to ooh and ahhh over it! Some of them even asked if they could pose with it for a picture and pass it off as their own! TOO funny! It was a beautiful and fun day spent eating good food and hanging out with great friends. The only thing that would have made it better is if we had won the game…but oh well, you can’t have it all, right? Melt the butter over medium low heat. Add marshmallows (reserving 1 c.) and stir until melted. Stir in vanilla. Add remaining cup marshmallows and stir until mostly melted. Remove from heat, and gradually stir in crispy rice cereal. Stir in 1/2-3/4 of the package of M&M's (more or less, depending on how many you want). Dump into a greased 13x9 pan, and let sit for 2-3 minutes before spreading out. Spread out into an even layer in the pan. Top with remaining M&M's, if desired. 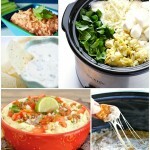 This all looks so good! Cannot wait to try it all out! 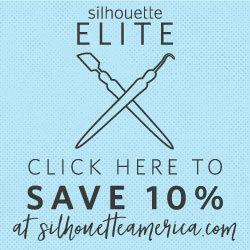 Stopping by from The Project Stash – had to come take a look at your treats! 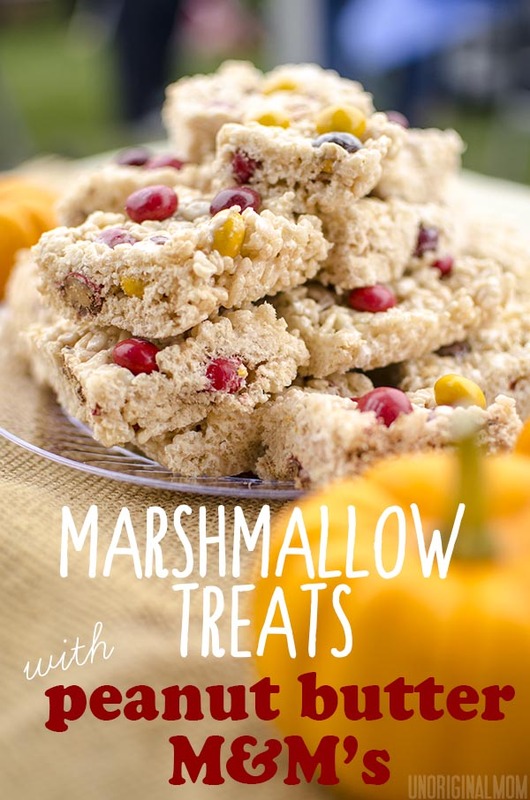 Love peanut butter, love rice krispie treats – can’t go wrong! Have Pinned! !